‘Planhaus’ developed a prototype house, which can be adapted to the site and the requirements of the client. As a ready to build product it shall still be variable. 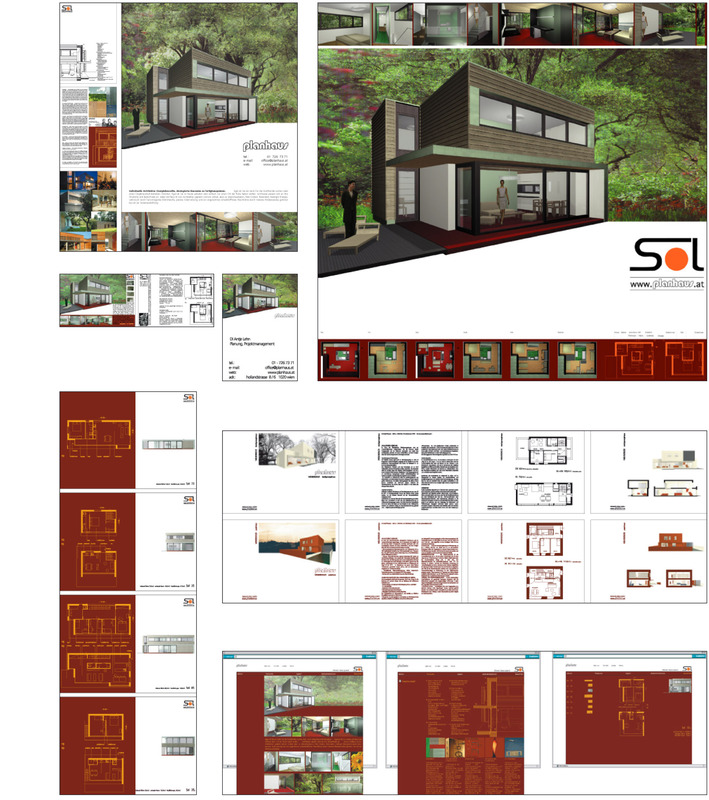 The approach of the corporate design was to create an image, for the product, ‘Sol’. The initial design required renderings, graphics, drawings and layouts. The site was a part of the corporate identity for ‘Planhaus’. The architects offer different products, so we developed a main portal that leads into different sub sites.